MAXX, you can lead Purple out on this typical warm up ride not far of camp. Being more rock than sand it might remind Purple of those cobblestone London streets from his currier days. SanDue and Purple like this. Now Purple, you may have noticed Moab at places has painted white lines we are supposed to follow. However in Moab they are not usually quite like this one from Sedona, Arizona. 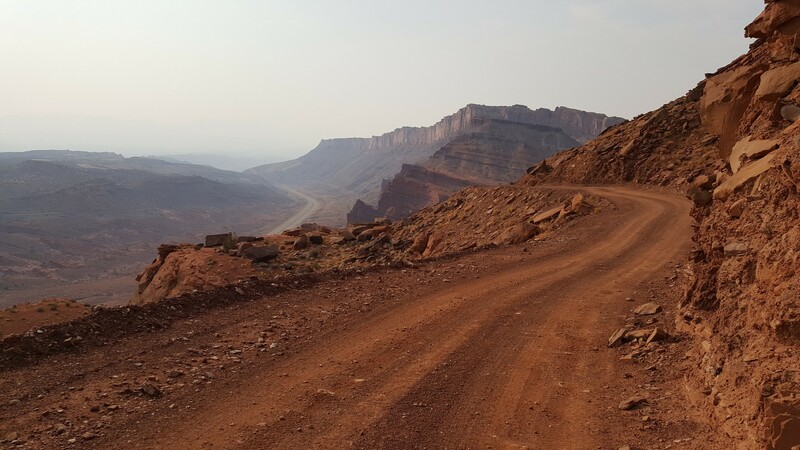 In Moab the white line trails are a lot longer. See? Sedona's White Line is just a tiny thing, barely a couple hundred yards long. SanDue, admiral and Purple like this. admiral, Fred and Till Death Dual Us Sport™ like this. To say I was “slightly clenched” would be an understatement — I could have cracked walnuts …..
Alberta Darrel, JerseyJeeper, Mel and 3 others like this. San Rafael was really nice this year but there is just something about the slick rock of Moab that draws us back. Will be fun to share chasing the white lines with first time visitors. admiral, Allanb, Purple and 5 others like this. Just to wet everybody's appetite for Moab. I was on Gemini Bridges Rd this morning. I can't believe that it is August 1st and the temperature was about 68 degrees during my ride. 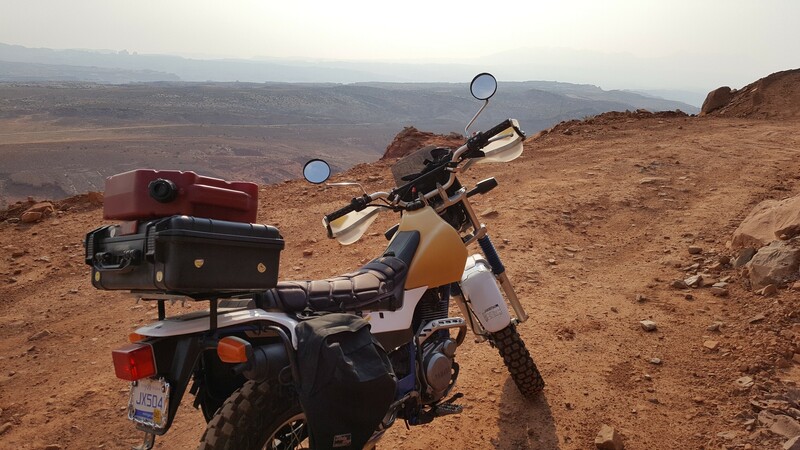 I love the TW200 for this trip. Usually I am in a group and ride a DRZ400S. But prefer the TW200 when riding solo. Fred, admiral, Tweaker and 3 others like this. Good thing you got that ride in before late afternoon/early evening. I wouldn't even want to wait for a milk shake at Milts Burgers with them thar temperatures. You the only one our riding? See any other riders? Can't be many this time of year. Looks smokey like everywhere out west. simbaboy and bad luck like this. I am riding solo and did not see any other riders. I did see a few Jeeps on the trails, though. There is a haze/smoke around Moab which I have never seen before---I think it might be from all the fires.